Our trustees guide our executive management’s decision-making on strategic issues and hold them to account for their leadership of the organisation. 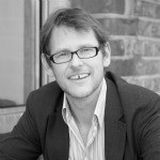 Paul manages the family office of Lord Stanley Fink, former CEO of Man Group Plc and is a special adviser to the Ashden, JJ and Mark Leonard Sainsbury Family Charitable Trusts on their impact investing strategies and allocations. Paul has been involved in a number of environmental philanthropic schemes, particularly in Africa; he is engaged in running a network of schools in socially deprived areas in the UK and is on the board of a Children’s Museum initiative in London. Sarah Butler-Sloss has been internationally recognised for her work in the field of green energy over the past 20 years, best known for founding the Ashden Awards for Sustainable Energy in 2001. As Founder Director of Ashden, Sarah is a regular contributor to UK and global policy debates in the field of sustainable energy and an active member of the UN’s International Sustainable Energy for All practitioner network. 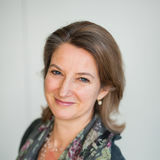 Sarah is also the founder and trustee of the Ashden Trust and a long-serving trustee of Forum for the Future. Adam founded the UK Fairtrade food business Tropical Wholefoods in 1991. In 2001, the company merged with FM Foods to form Fullwell Mill, which imports and sells Fairtrade food ingredients. Adam's work has always been wedded to ideas of fair trade, but in recent years has extended to include sustainability and energy efficiency for businesses in developing countries. He is also a Trustee for the Kilimo Trust, an East African trust supporting innovation in agriculture and business. 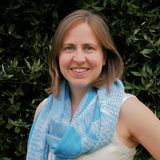 Emma is a social entrepreneur and international development professional. She leads the Energy Markets portfolio at Practical Action, where she heads up the Global Distributors Collective, and is a co-founder of Pollinate Energy, a multi-award winning social enterprise in India that brings clean energy products to urban slum communities. Emma has also worked with the Australian Agency for International Development (AusAID), focusing on development finance and innovation. 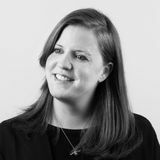 Caroline joined We Mean Business as the Communications Director following a spell as an independent consultant on sustainability content and strategy for a range of clients including Unilever, The Crowd and Bloomberg. Prior to that she was head of content globally for Guardian Sustainable Business, which she helped launch in the UK and US. She was the site editor and also held responsibility for delivering content partnerships, events and strategy. Michael is Associate Director, responsible for Research Partnerships, at Chatham House in London. He has served as the Deputy Special Representative of the Secretary General in Afghanistan, as well as the UN Resident and Humanitarian Coordinator. He also initiated the annual Africa Progress Report. Michael has edited or contributed to a diverse range of journals and publications and has an M.A. in History from Cambridge University. Nick is Chief Executive and a founder director of E3G (Third Generation Environmentalism). 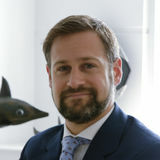 In addition to his management role, Nick leads E3G’s work on European climate change policy, climate diplomacy and foreign policy, and the security implications of climate change. Nick was previously a senior advisor in the UK Prime Minister’s Strategy Unit leading work on national and international policy areas. Before he joined government Nick was Head of Economics and Development at WWF-UK. He came to WWF from research at London Business School on the economics of climate change, which he published as the book ‘Argument in the Greenhouse’. 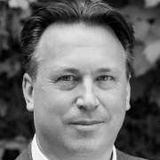 Co-Founder of Forum for the Future, Jonathon is an eminent writer, broadcaster and commentator on sustainable development. Established in 1996, Forum for the Future is now the UK’s leading sustainable development charity and has a growing presence in the United States, India, Hong Kong and Malaysia. Jonathon was installed as the Chancellor of Keele University in February 2012. He is also Visiting Professor at Loughborough University and received a CBE in January 2000 for services to environmental protection. Mark Sainsbury is a co-owner of The Zetter Group, a Director of Draft House Holdings, the founder of The Sustainable Restaurant Association as well as a trustee of the Mark Leonard Trust. He is also the co-founder of the multi award-winning Clerkenwell restaurant, Moro. The Zetter Group comprises of the highly acclaimed Zetter Hotel & Townhouse, Bistrot Bruno Loubet and the most recent addition, the award-winning restaurant Grain Store. Richard created Mlinda's vision and approves strategy. His ambition for a scalable and replicable business able to influence production and consumption defines Mlinda's approach to rural electrification. His strengths in business advisory and finance guide Mlinda's strategy. Richard is also active in asset management and sustainable investments.